The last stop on our whirlwind tour of the Baltics was Krakow, Poland. We caught the smallest plane ever from Lithuania (it even had propellers) and landed in Krakow via Warsaw. We were only in the country for a couple of nights so really had to condense the major things we wanted to see and do in this historical city. Our main reason for visiting Poland was to see Auschwitz. We whole-heartedly recommend that everyone should go there, but we’re glad we went at the end of our two week trip through the Baltics. We got to Krakow mid afternoon and the weather was hot, for some reason I never expected Poland to be a warm country so I was pleasantly surprised. We struck gold with our accommodation. After a 4 hour coach ride from Riga we ended up in Vilnius the capital city of Lithuania and the 4th country on our Baltic Trip. 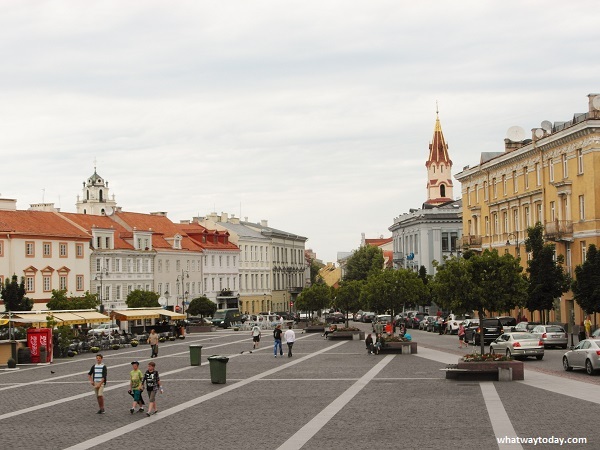 Like Riga, Vilnius has also been voted as a European City of Culture, and it’s Old Town is also a World Heritage Site. So yes we were excited to explore Riga, stretch our legs and find things to see and do.